Boost your brain power and your healing ability with an all-natural mushroom extract from four sigmatic. As we age our brains naturally start to slow down, taking longer to process information and recall memories. But when you add an lion’s mane packet with 1500 mg of strong lion’s mane extract to your diet, you can boost your brain power, your organs and your cells. 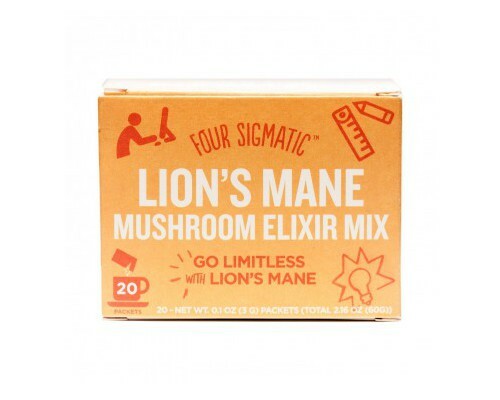 By carefully processing the mushrooms to harness their natural abilities, we combine the spray dried extract powder with natural and pure herbs, star anise, mint and stevia to form the perfect healthy blend.